Mastitis is one of the main reasons for antimicrobial use in dairy production. In the context of concern over anti-microbial resistance, alternative treatments for mastitis, including homeopathy, are becoming increasingly popular, particularly on organic farms. The aim of this study was to examine the comparative effectiveness of homeopathic, antimicrobial and placebo treatments for bovine clinical mastitis using a blind randomised controlled trial. 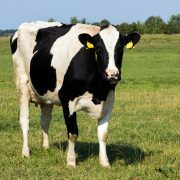 180 lactating dairy cows from one organic and three conventional herds in Eastern Germany were enrolled on the trial. The cows recruited were all suffering from mild or moderate clinical mastitis. Cows exhibiting severe mastitis, mastitis in more than one mammary gland, suffering from any other disease, or that had been treated with antimicrobial or anti-inflammatory treatment within the previous 30 days, were excluded from the study. The veterinarians involved in the study, who came from a practice that frequently used homeopathy, examined all the cows and made recommendations for each of the three treatment options. For the homeopathic treatment a selection was made from a repertory of 21 homeopathic remedies that had been prepared by a professional veterinary homeopath with experience in homeopathic treatment of food-producing animals. Following examination the cows were then randomly assigned (by drawing lots) to one of three treatment strategies: individualised homeopathic (n=60), placebo (n=60) or antimicrobial (n=60). The farmer was blinded as to homeopathic/placebo treatment but not the antimicrobial treatment as this had a different means of administration. All other study personnel, including the veterinarians carrying out the examinations, were blinded to all treatment types. Immediately before entering the trial, milk samples were taken from all four udder quarters of the included cows, and their clinical and homeopathic symptoms were documented. Follow-up milk samples and clinical examinations took place after 7, 14 and 28 days. At each examination the veterinarian classified the cows as responsive or non-responsive to the treatment given. Milk samples were analysed for pathogens and somatic cell count (SCC). All 180 animals entered into the study were analysed according to the group they were allocated to regardless of whether or not they were excluded from the study before it ended. 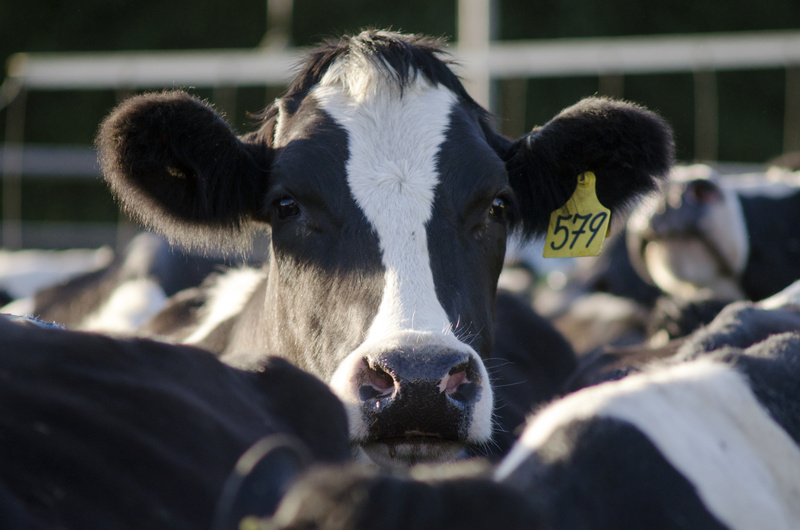 At the start of the trial, 120/180 pre-treatment milk samples showed positive for bacterial growth, with no bacterial culture detected in the remaining 60 cases. At the first follow-up check (day 7) using EMEA criteria, 81% of the mastitis pathogens found on day 0 had been eliminated in the antimicrobial group, 43% in the homeopathic group and 45% in the placebo group. Where no mastitis pathogen had been found at day 0 there was no difference in bacteriological cure rates between the three groups. Cytological cure rates were similar to the bacteriological cure rates. At second follow-up (day 14) bacteriological cure rates were similar to day 7 with the homeopathic group having the highest number of cases in which the mastitis pathogens identified at day 0 were still present. For cases with a negative result for bacterial growth at day 0 all three treatments groups were equally effective. At 14 days the antimicrobial group had the best cytological cure rates, with an SCC decrease in 45/60 quarters, but only 14/60 quarters fell below the threshold. At the third follow-up (day 28), the antibiotic group again had the highest bacteriological cure rate, with homeopathic and placebo remedies being less successful. Overall, both the lowest non-responsive rates and highest bacteriological cure rates were found after antimicrobial treatment. There were no significant differences in treatment success between the three groups where no mastitis pathogens were found on the day of inclusion. The cytological results at 28 days showed that the antimicrobial treatment led more often to a decrease in SCC (39%) compared to homeopathic (34%) and placebo (27%). Only 21% of quarters saw the SCC drop under the desired threshold value and most of these were from the antimicrobial group. One possible limitation of the study is that whilst every effort was made to follow the basic principles of classical homeopathy with individualised treatment and repertorisation, it is possible that under practical on-farm conditions an inappropriate homeopathic remedy was selected. This study shows that for mild or moderate cases of mastitis successful treatment is dependent on the specific mastitis pathogen; therefore bacteriological analysis of milk samples is vitally important for successful treatment. The study’s results suggest that although cytological cure rate were similar for culture-positive cases, when looking at bacteriological cure rates, antibiotic treatment was more effective than individualised homeopathy, while the individualised homeopathic treatment was no more effective than that of the placebo. For Escherichia coli infections and cases where no mastitis pathogens were found, there was no difference between bacteriological and cytological cure rates between antimicrobials, homeopathy and a placebo. 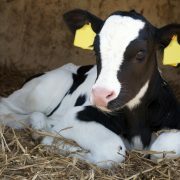 Therefore antimicrobial or alternative treatments should be based on the bacterial culture of the milk sample.